Looking at your dashboard with countless offers on it can be confusing, especially if there are several offers that are similar to each other. To avoid having issues with this, we highly recommend creating names which only you can see, in order to identify your offers easily. These names can be set internally within the app and are not visible in public. 1. Launch the app and go to your dashboard to view all offers you created. 2. Click on the Actions drop-down menu on the first offer and choose Edit. 3. 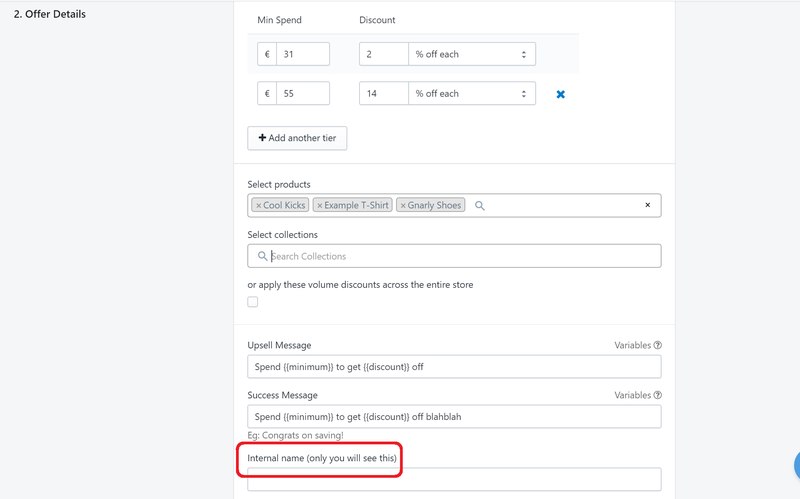 Scroll down until you get to Internal name field under Offer Details section. 4. Enter a name for the offer in the field provided. Something that would make it easy for you to identify it among the other offers. In this example, we are going to use Halloween Promo. Then, click Save Offer. 5. The name you have set will now appear on your dashboard. 6. Repeat the steps for the rest of the offers on your dashboard.